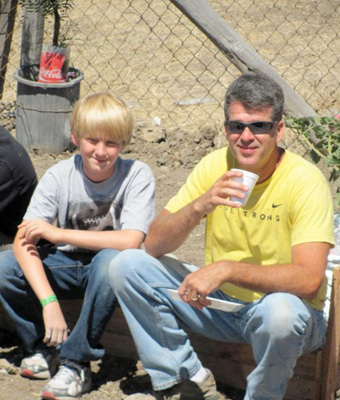 Paul and his son Luke helped build a home that provides basic shelter for a needy family near Tijuana, Mexico in the summer of 2011. 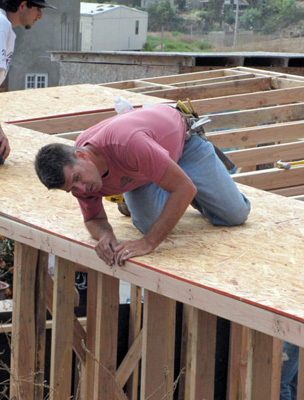 Project Mexico uses the labor of volunteers to construct a home that measures 11’x22′–the size of an average American family room. The un-insulated house consists of two rooms, a concrete floor, a flat roof, two windows and a door. There is no plumbing or electricity. The stud walls in the house are exposed. Project Mexico relies on Paul’s expertise as a builder to serve as a team leader. In addition to helping with construction of the home, he also checks to make sure the work done meets Project Mexico building standards. This was Paul’s ninth trip. 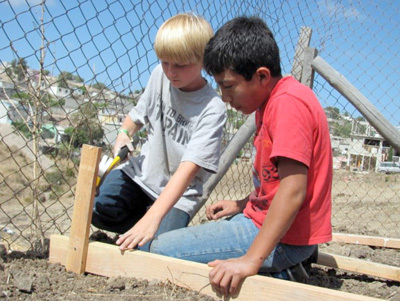 Paul’s son Luke works with a friend from St. Innocent Orphanage, which is a part of Project Mexico. The orphanage gives refuge to boys who would otherwise be out on the streets because they are too old to remain in typical Mexican orphanages.